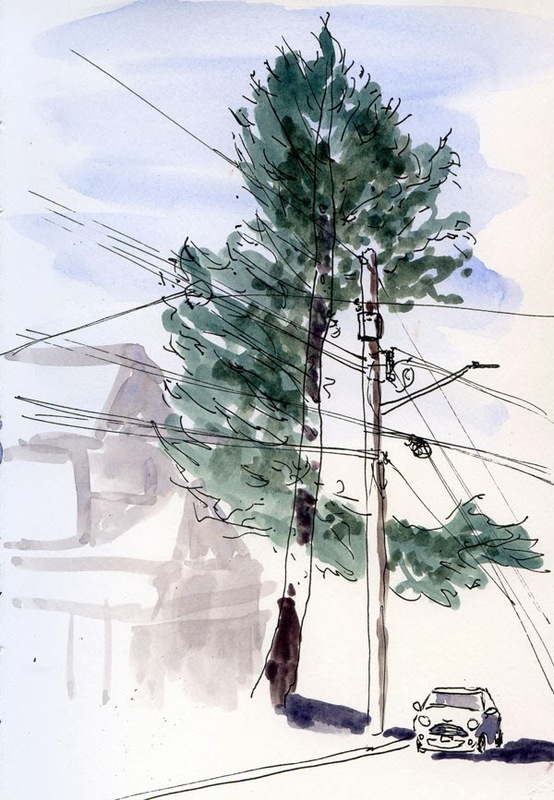 As I did last fall, I’ve been going around my neighborhood this winter sketching “portraits” of individual trees. 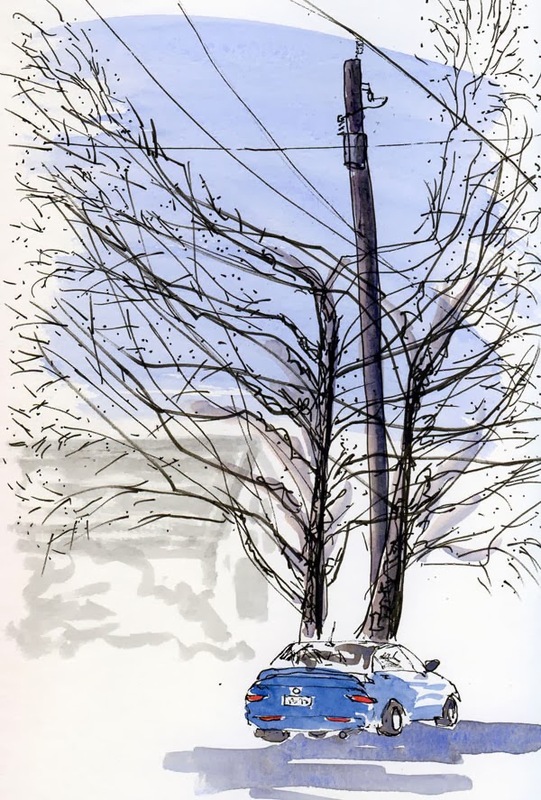 I decided to do a series of trees that have been mutilated to accommodate ubiquitous power lines. When they’re fully in leaf, trees with bad haircuts look ugly and indignant, cheated out of what should be green and full tops. But bare, the same trees are strangely beautiful as their limbs negotiate around the straight, unyielding wires. Unfortunately, an evergreen near Green Lake looked particularly undignified with a huge chunk bitten out of its midsection. Like liposuction gone terribly wrong. Love the reflections on the blue car's rear window.